John M Berardi, PhD, CSCS has been recognized as one of the top exercise nutrition experts in the world. His work has been published in dozens of textbooks, peer-reviewed academic journals, and in countless popular exercise and nutrition books and magazines. In addition, through his company, Precision Nutrition, Dr Berardi has worked with over 45,000 clients in over 97 countries. These clients span the spectrum from recreational exercisers all the way up to the athletic elite, including: The Toronto Maple Leafs, The Texas Longhorns, The Canada?s Olympic Ski Teams, Canada?s Olympic Bobsleigh and Skeleton Racers, World Champion UFC Fighters, Canada?s Olympic Speed Skaters, and more. No stranger to elite athletics himself, Dr Berardi has competed at a high level in football, track and field, rugby, and power lifting. Further, he is a former Jr. Mr. USA champion. In addition to this work, Dr. Berardi is active in two important, non-for profit organizations devoted to providing healthy food for those in need: The Healthy Food Bank and Spezzatino Magazine. 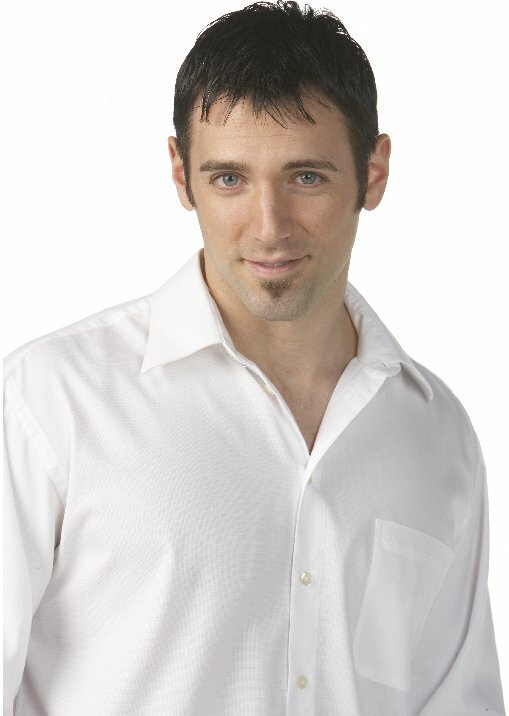 To take one of his free nutrition courses for men, women, or athletes, visit www.precisionnutrition.com. 25 Physique-Friendly Recipes: Great Food & Great Taste! I sat down with my good friends - all noted recipe maestros - and together we came up with a ton of physique-friendly recipes that BOTH taste great and are great for you. In this article, I'm going to share with you 25 of them. Try them now! A Letter To Parents Concerned About Their Teenager's Protein Intake. I would like to present this letter to all parents and doctors about protein. I am going to try and fill in the gaps here in regard to teens and high protein diets. Become educated and ask questions. Appetite For Constuction Main Page! John answers readers' nutrition questions. Packed full of useful research and information! Back In Balance: Balancing Spinal And Abdominal Muscles. Alwyn Wong specializes in training injuries and shares his secrets on developing a balanced core right here. These muscles may not make you look better on the beach, but they will help you stay out of his office. Beyond Oatmeal: Creative Massive Eating Recipes. Part 1 - Protein & Carb Meals. So put down that days-old rubbery chicken breast and shot glass of flax oil. It's time to turn those P+C, P+F meal combinations into something more than macronutrient ratios. The Complete Idiot's Guide To Dieting. Many times in life we make things more complicated than they actually are; dieting is no exception. Read on and learn how easy it is to determine your daily macronutrient needs! The Science Of Nutrient Timing! The science of nutrient timing is nowhere near as exciting as beaming Mudd's women aboard your vessel, but for the athlete, it is important. Ryan Foster continues his foray into the theory and practice of hockey training. Part 2 focuses on the second phase of his excellent periodized hockey program, the strength phase. Gladiator Training - Part 1! For this update we'll give you part 1, which will focus on how to develop a periodized hockey program and how to structure the first phase, the hypertrophy phase. Warming Up To A Great Workout! A warm up can undoubtedly be advantageous if done properly, and in accordance to your desired training effect. Let's dig in and find out where you've been going wrong; you may be surprised! Pushin’ Iron For The Gridiron: Part 1 - Recovery And Hypertrophy. Our boy Kris Aiken outlines the program that took him from a 160-pound Cornerback to a 195-pound, bone-crunching DB with pro potential. If you're a ball player looking for a serious, no-nonsense program to take you to the top, look no further. Massive Eating - Part II! Massive Eating - Part I! In this article John discusses the fact that most people fail to realize their physique goals as a result of poor dietary planning. It presents calculations for determining your caloric need to maximize your muscle gain while minimizing your fat gain. The Winning Formula: How To Manipulate Your Diet & Exercise To Look Great Naked - Part 1! I have yet to meet a healthy man or woman that couldn't use more protein in his or her diet. It's high time we drop our prejudiced attitude toward protein and start giving it the respect it deserves. The Winning Formula: How To Manipulate Your Diet & Exercise To Look Great Naked - Part 2! The Mad Max Program: Improve VO2 Max And Critical Power! If you're a competitive athlete who is forced, by athletic necessity, to use your lower extremities to propel you toward a particular destination (i.e. end zone, soccer goal, hockey net, etc. ), you've undoubtedly heard of the infamous VO2 max. Supplement Reviews: Essential Amino Acids! Amino acids are the building blocks of protein. Of the 20 amino acids that make up dietary protein, 9 are essential and 11 are non-essential.